The Essence Cosmetics Mono Eyeshadows retail for $1.99US and $2.99CAN for 0.29g oz /8.5g worth of product. This line retails at Shoppers Drug Mart in Canada. 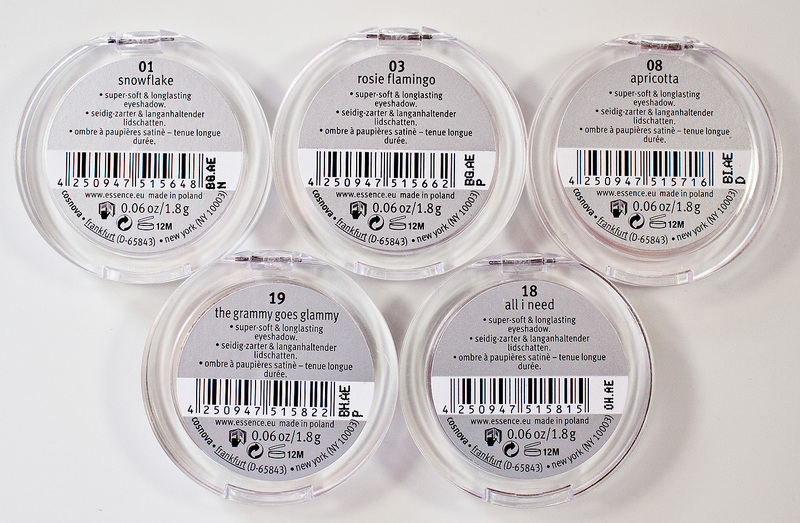 Products: All of these shadows are buttery in nature with a pearl/shimmery finish. The ally very smoothly on to bare skin as well. As a highlighter, the shades Snowflake, Rosie Flamingo, Apricotta, The Grammy Goes Glammy leaves a dewy glow to the skin. With The Grammy Goes Glammy being a more high sheen shade. 01. Snowflake is a true pearl white. 03. Rosie Flamingo is a pale blue based pink with a pearl finish. 08. Apricotta is a pale peach with a pearl finish. 19. 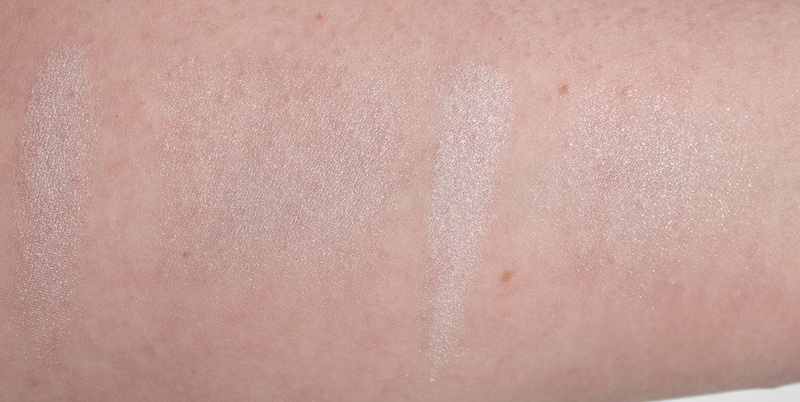 The Grammy Goes Glammy is a pale taupe with a shimmer finish. 18. All I Need is a warm taupe with a pearl finish. Wear: They last 4-6 hours on their own on the eyes. As a highlighter that last 8 hours on bare skin. all the shade last longer over a primer/foundation. 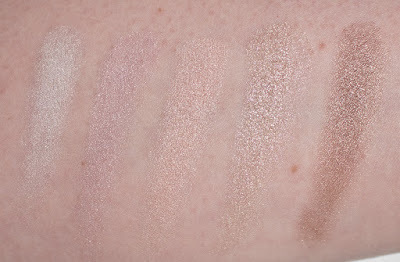 Daylight swatches: Snowflake, Rosie Flamingo, Apricotta, & The Grammy Goes Glammy, buffed out. 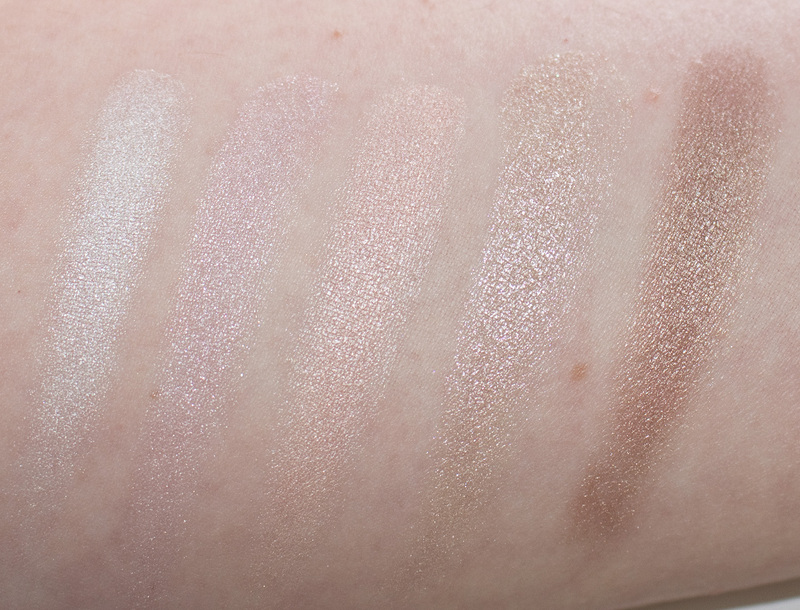 Flash swatches: Snowflake, Rosie Flamingo, Apricotta, & The Grammy Goes Glammy, buffed out. Daylight swatches: Essence Cosmetics Snowflake and Becca Pearl, applied heavy and buffed out. Flash swatches: Essence Cosmetics Snowflake and Becca Pearl, applied heavy and buffed out. 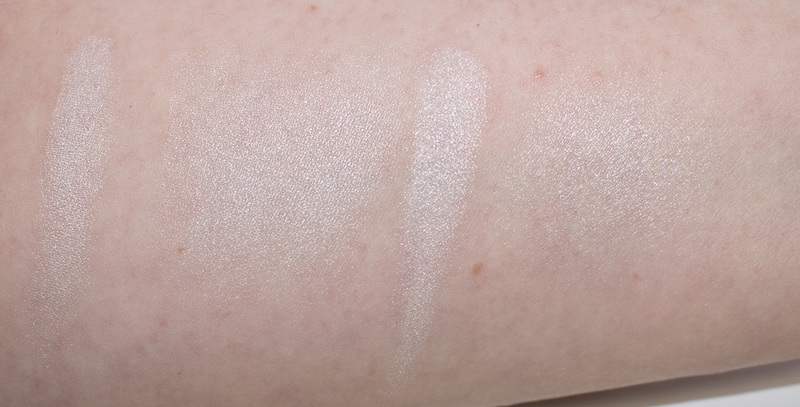 Essence Cosmetics Mono Eyeshadows in Snowflake and Becca Pressed Powder in Pearl are strikingly similar on the skin used in this manner. Becca is a touch more glowy but they both have the same effect on the skin as a highlighter. 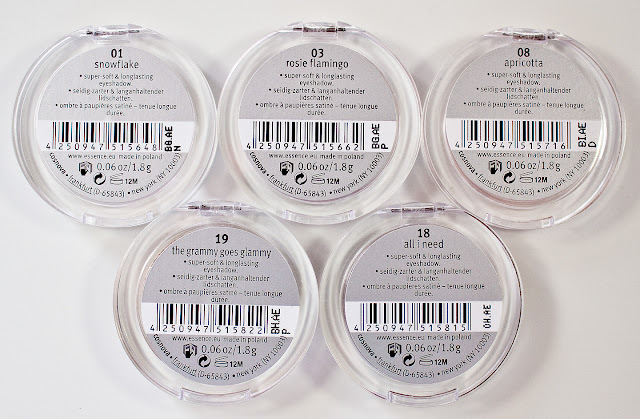 This is a solid formula for a pearl finish eyeshadow. 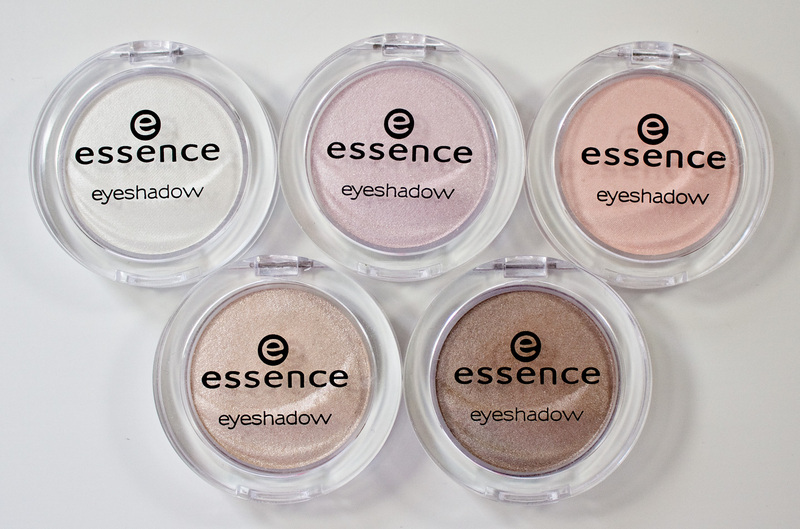 Definitely, check them out as the Essence Cosmetics displays are built with testers to see if you like a shade before buying them. But totally work more than their price point in my opinion. These look great! Nice review!